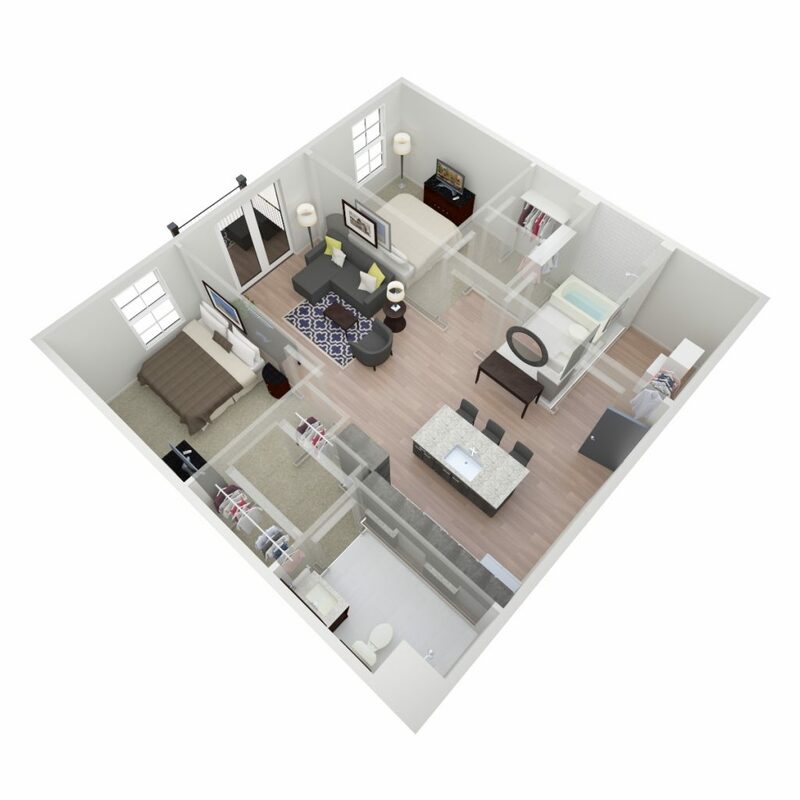 The Beulah is the perfect Two Bedroom, Two Bath for those looking for equivalent bedrooms and private space. A unique floor plan with each bedroom and bath on opposite end of the apartment, a sizable kitchen and living space separating the two rooms. This floor plan offers a secluded patio/balcony, large laundry room and modern features throughout. A must see on short supply!